Lee Canyon is a true Oasis in the dessert offers a real alternative to the bright lights, craziness and noise of the big city! 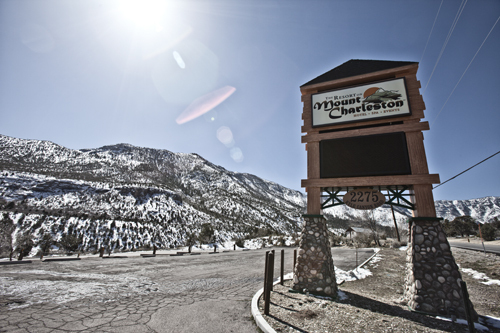 The resort, located at Mount Charleston’s Lee Canyon area, is about an hour’s drive from Las Vegas. Since there’s not much of a winters season to speak of in Vegas, skiing is one way to make it feel more like the season. 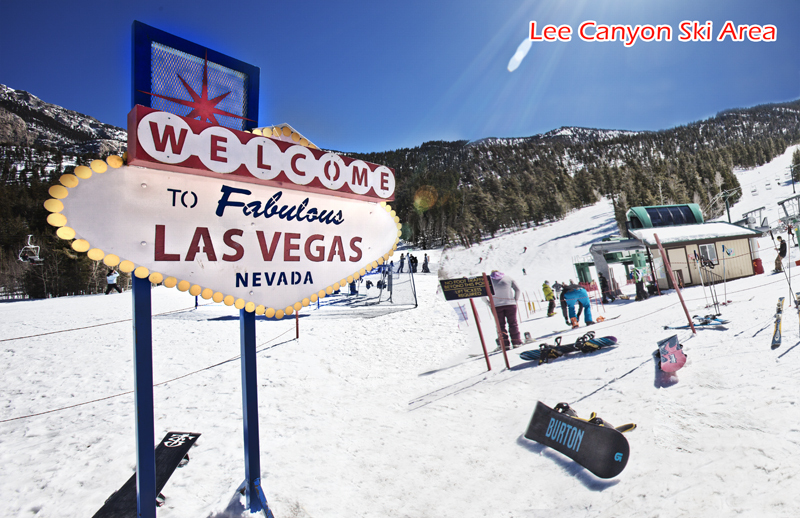 Las Vegas Ski & Snowboard Resort offers skiers and riders an excellent mountain experience just 50 miles from the Las Vegas Strip. There is more to Las Vegas than meets the eye and when it comes to try something fun you can go to ski and ride during the day and return to the glitz and glamour for night life. Lee Canyon Ski area its Located at an Elevation of 11289 ft, High up in the spring mountains of Nevada and it is a good 15-20 degrees cooler than the city in the summer and very cold on the winter. Lee Canyon Ski Area features a total area of 385 skiable acres, offers 11 alpine skiing and snowboarding trails and four lifts, including three chairlifts and one surface lift as well as its hike-to side country areas and freestyle terrain park for skiers and snowboarders. The area also includes the Las Vegas Ski & Snowboard School and off-slope amenities including The Sports Shop, The Big Horn Cafe and the Bristlecone Lounge. This is really a beautiful spot on the winter and the drive out there is easy and nice. The air is remarkably clear up in the mountains and the views are spectacular. The area features more than 240 inches of average snowfall per year and off-slope amenities such as dining, snowshoeing and summer activities. The resort offers beautiful mountain sceneries and is a nice adventurous and romantic getaway from the desert for a day of summer or winter fun. About 45 minutes from Las Vegas off Highway 156. This entry was posted in Hiking, Rides, Skiing, Winter Activities and tagged Hiking Trails, Nature, Rides, Ski Areas, Winter activities.